They birthed us, they reared us, they put up with us and they still love us—moms are pretty amazing! This week, Americans are gearing up for our annual celebration of all things maternal—Mother’s Day on May 13. 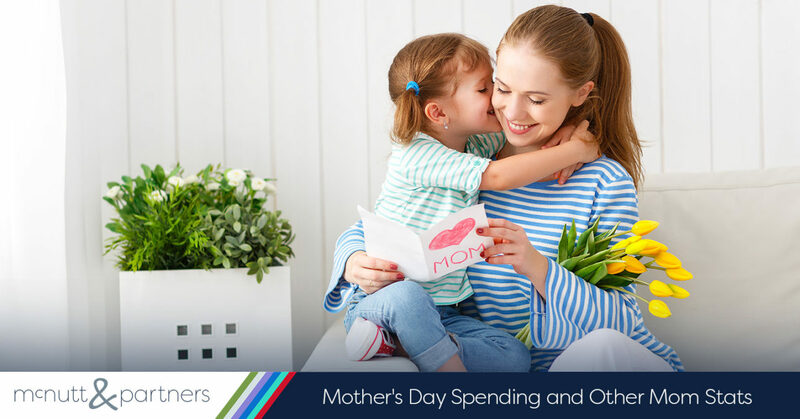 With restaurant reservations maxed out, flower delivery drivers populating the roadways and jewelry stores unloading inventory, Mother’s Day is one of the biggest days of the year in the retail realm. Here’s what the National Retail Federation has to say about Mother’s Day spending—and a few other fun mom facts. 86 percent of Americans will celebrate Mother’s Day this year. Each person celebrating will spend an average of $180. Individuals aged 35-44 will be the biggest spenders at an average of $224.35 per person. And just for fun, here are a few other Mother’s Day facts that may pique your interest. The latest Census data from 2014 revealed that there were 43.5 million mothers in the world between the ages of 15 and 50. These mothers gave birth to 95.8 million children. The youngest mother ever to give birth was only 5-years-old. The oldest woman to give birth was believed to be 70. Ann Jarvis started the idea of Mother’s Day following the Civil War in 1868, when she was inspired to promote friendship and understanding between mothers on both sides of the conflict. Jarvis’ daughter, Anna, created the official holiday in 1908. Woodrow Wilson signed Mother’s Day into law in 1914. The carnation flower was traditionally worn and used to indicate whether or not your mother was living on Mother’s Day. If you wore a red carnation, she was living. If you wore a white one, she had passed away. More calls are made on Mother’s Day than any other day of the year. Around one-fourth of all flowers purchased throughout the year are purchased on Mother’s Day. The United States is not the only country that celebrates Mother’s Day. Countries like the UK, Australia, India, Brazil, Germany, Japan, the Philippines—the list goes on—have designated days to celebrate the holiday. Around 50 countries total celebrate Mother’s Day. Whether you celebrate it with a party, a meal, a quick visit or a phone call, we wish you a Happy Mother’s Day from the McNutt & Partners team!